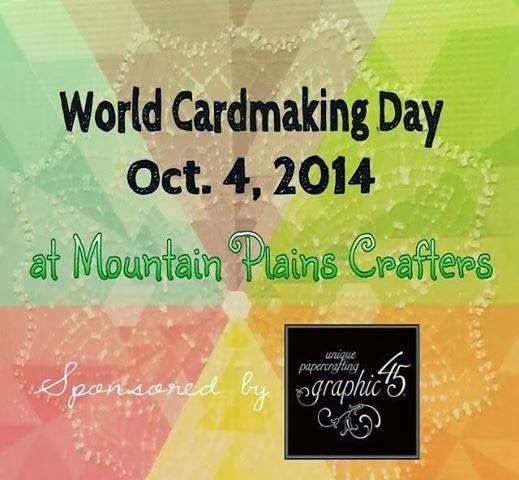 To celebrate World Cardmaking Day, we are hosting a Tag-a-Friend contest on our Mountain Plains Crafters FB page.. It is sponsored by the great team at Graphic 45. 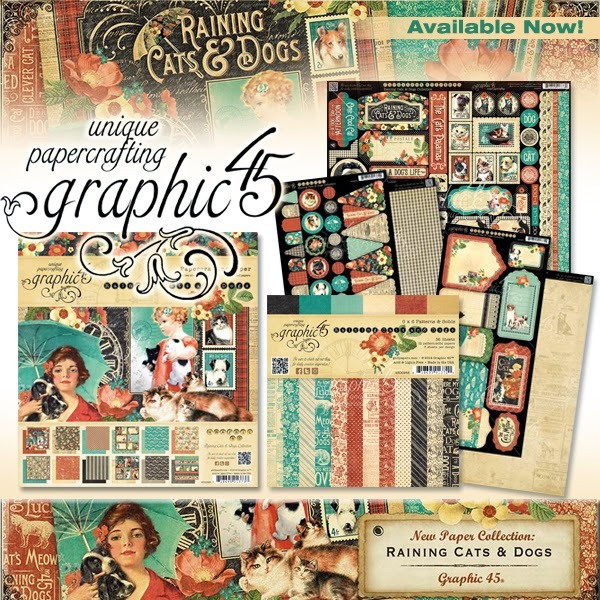 One person will win a prize pack of supplies from their amazing Raining Cats and Dogs collection. To enter, all you need to do is tag-a-friend in the comment section of the post on FB.. Tag as many Facebook friends as you like in separate comments ( but please don't tag the same person over and over and over ).. Check back throughout the day as our Design Team members will be posting their projects all day long. A winner from the Tag-a-friend contest will be chosen later tonight or tomorrow after the contest closes at 11:00 PM ET. Also please head over to the Graphic 45 Facebook page, Like them & thank then for sponsoring the MPC giveaway.. Wishing you all good luck... Please share and spread the word..Maybe if your friend wins, they will share some of the prize pack with you ! !